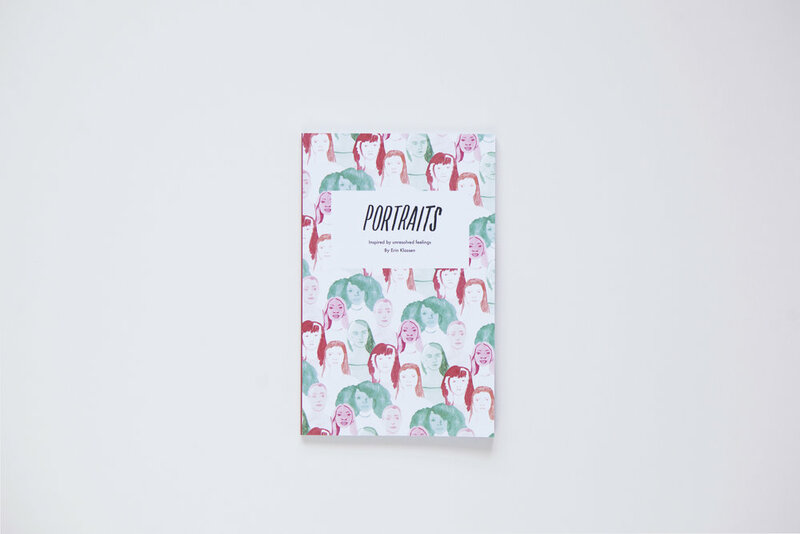 Portraits is a collection of stories and illustrations showcasing the complicated nature of unresolved feelings. Portraits was created through a back-and-forth collaboration between the author and artists, allowing the final product to evolve organically, without a predetermined conclusion. The result is a collection that explores the selective nature of memory; the remembering, re-imagining and reclaiming of personal narratives through revealing the sometimes uncomfortable and unflattering —but honest—ways we feel. From desire to despair these vignettes reveal a slice of the female unconscious, shining a light into the dark corners of our hidden selves. If you're the type of person who finds comedy in the sad, weird habits that make us human, we think you will like Things I Do When I Feel Blue. Buy it for your coffee table or for a good friend who likes eating peanut butter from the jar and watching Bill Murray clips on the internet. Things I Do When I Feel Blue started as an actual hand-written list of 16 things author Erin Klassen does, on a semi-regular basis, when she feels blue. Erin's words and Alex Begin's illustrations + layout work together to form this little book, which is funny, sweet, and a bit less depressing than one might suspect.